When Chairman Fox campaigned on his bid for chairman, he ran a platform on protecting tribal lands and transparency. It's been 4 years and we have not seen much change from the last administration. We have seen a lot more money funneled through our Tribal Business Council that has been squandered on leisure rather than developing a sound economy for our people or protecting our natural resources. Like past chairmen, it seems that our leaders would prefer to listen to millionaires and white consultants over our own people. I hope that in this new level of representation for MHA people, Chairman Fox will demand that the Federal Government protect the trust responsibility of all tribal members, not only the greed of our government leaders. We will hold our leaders accountable if our children do not have clean water, land, and air. DENVER (May 11, 2018) – Today, the U. S. Environmental Protection Agency (EPA) announced the appointment of Mandan, Hidatsa and Arikara Nation Chairman Mark Fox of Parshall, N.D., to the Local Government Advisory Committee (LGAC). The 34-member LGAC helps EPA develop strong partnerships with local governments to provide more efficient and effective environmental protection at the community, state, and federal level. EPA is committed to collaborating with states and local governments in the spirit of cooperative federalism to build on their work to achieve cost reductions and better allocate resources. Improvements to public health and the environment are best achieved when EPA works together with states, tribes, and communities to address environmental issues through trust, collaboration, and partnership. "EPA's efforts to protect public health and the environment are most effective when the Agency works cooperatively with state and local governments," said EPA Administrator Scott Pruitt. "I look forward to working with the committee members on important environmental issues while developing stronger and more robust partnerships across states, tribes, and local communities." "Chairman Fox has valuable knowledge and experience working on issues facing tribal nations," said EPA Regional Administrator Doug Benevento. "His familiarity with these issues, along with his work developing small businesses, will provide essential representation to the committee." 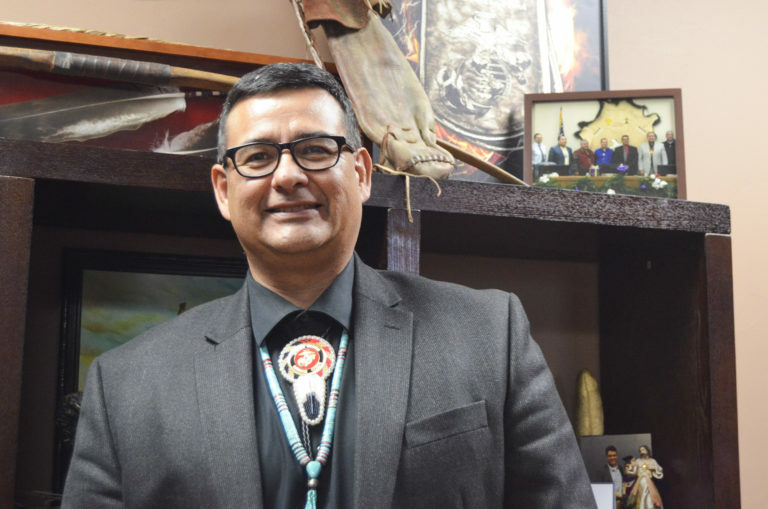 As the elected chair of the Mandan, Hidatsa and Arikara Nation, Chairman Fox works on issues including energy, water development, and intergovernmental affairs. From 2004-2005, he assisted with the MEC Business Incubation program to assist development of federally-funded program whose purpose is to assist Native American small businesses, nation-wide. The panel was selected based on their demonstrated leadership experience, proven record of service to their communities, and involvement in effective environmental protection services and programs at the community, state, and federal level. Chartered in 1993 under the Federal Advisory Committee Act, the Local Government Advisory Committee provides independent and objective policy advice to the EPA Administrator. The committee intends to meet in early summer to begin their work. For more information and to see the full list of newly appointed LGAC and SCAS members, please visit http://www.epa.gov/ocir/scas_lgac/lgac_index.htm .